2017 was a great but also challenging year. Like I described in my last post I started a new job in Kassel and officially was accepted a phd-student in Marburg. Combining and structuring job and external phd is not easy it took some time to get accustomed to a new routine, but I succeeded to place 2 new articles which will become part of the cumulative phd. In 2018 I am now about to finish an extended version of my LTEC 2018 article and hopefully to finish my phd this summer. My year will start with 2 weeks of “holiday” which I will use to finish the structure and title and to plan the last steps in structuring my timetable. I will keep you updated, as soon as I can write more about it. This was the content of my last post this year, and not posting did not mean I have not been busy … on the contrary! Nevertheless sorry for this unintended long lasting time without updates! What happend since? 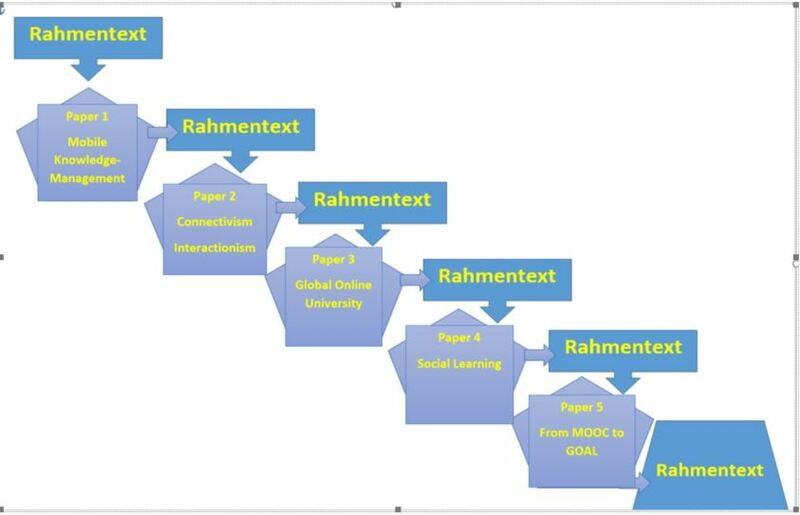 After finishing the last two articles to be included into the thesis, I started to work on the structure and content for the framing text. I wrote the introductional and methods-part and an introductionary part for the chapter which included the published articles to show their coming into being, their common thread and the direction my questions of research were developing to. And this was what developed and changed (isn`t this the same???) heavily in 2018: Early in the year I had a job interview which offered very challenging and promising perspectives for my professional future. I decided to end my “University-Job-Life” and started to work as educational scientist at the BKK Akademie in Rotenburg, which is near my home, so I did not have to move to another place. The BKK Akademieis the corporate educational institution for apprenticeship, and corporate vocational learning programs for the (recently roundabout 80) company-health-insurance-funds in Germany (in German BKK is BetriebsKrankenKasse). My job for at least the next 5 years will be to redesign the concept of apprenticeship, and corporate vocational learning programs,to re-think, re-develop, conduct and evaluate methods and standards for a future-oriented and sustainable learning concept seen from a perspective of lifelong learning, a raising heterogeneity and digitalization. Luckily they also support me with finishing my dissertation project and it was just the right time, before really going into the writing process of the framework, to extend the focus from academic learning processes and universities towards the broader context of learning systems, including networks of different systems and to include and focus learning processes in organizations and vocational and apprenticeship learning. 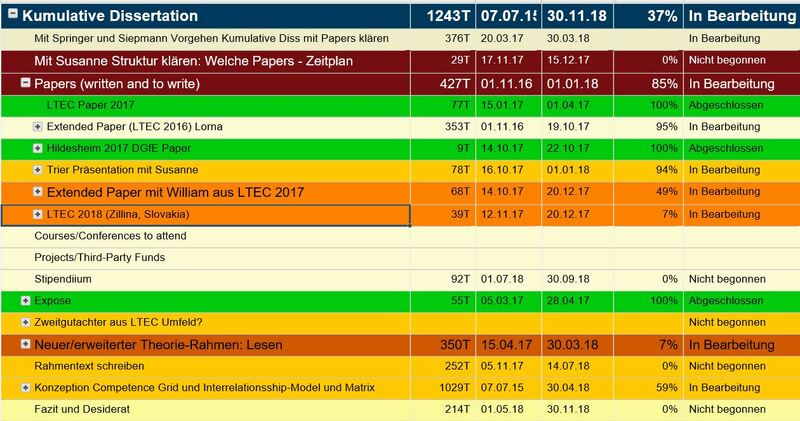 For this weblog this also means that I will continue to include global findings and inputs not only from different systems, but also different countries, so I am happy that also in 2018 I will take part at the LTEC/KMO conference which takes part in Zilinia, Slovakia this August. 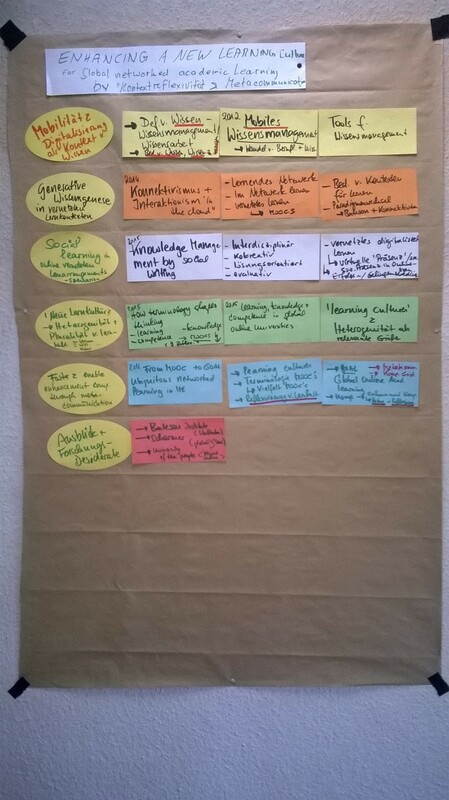 Nevertheless the relevant literature and discourse for our recent project “Apprenticeship 2021″ is written and discussed in German, which is the reason why I will “awaken” the German Weblog (http://www.core2zero.net/deutsch/) again. I can not promise yet to translate every single post, but I will definitely at least summarize the final ongoing of my thesis and the research ideas and processes which will follow! Another important step is done – I successfully submitted my proposal for my PhD Project at the Institute for Educational Science and am now officially PhD Student at the area Innovation, Organization, Networking! While submitting a paper together with my supervisor, and a symposium for next years DGfE Conference on “Movements”, as well as for the Conference-Papers of this Years Congress of the Commission of Organizational Pedagogy, the working title of my project meanwhile has changed and now is »MOOCs, CAPs, U.Labs and Co: Enhancing and transforming Learning and Knowledge in (Higher Education) Networks«. As the title shows, the focus has shifted a little from a “mere” discussion of changes in learning-processes in Higher Education towards “new” forms and their potential in regard to innovation, transformation and movements/change. 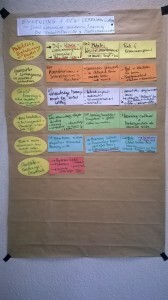 Theories and approaches for learning and development will be analyzed in regard to the question, which suggestions and practices they offer to provide translation in heterogeneous global learning scenario, and how these translational suggestions differ between being reflexive/analytical and/or experience-orientated/dialogical approaches. It seems promising, to analyze them within their specific cultural qualities of referenciality, community and algorithmicity and different notions of the political (Stalder 2016). 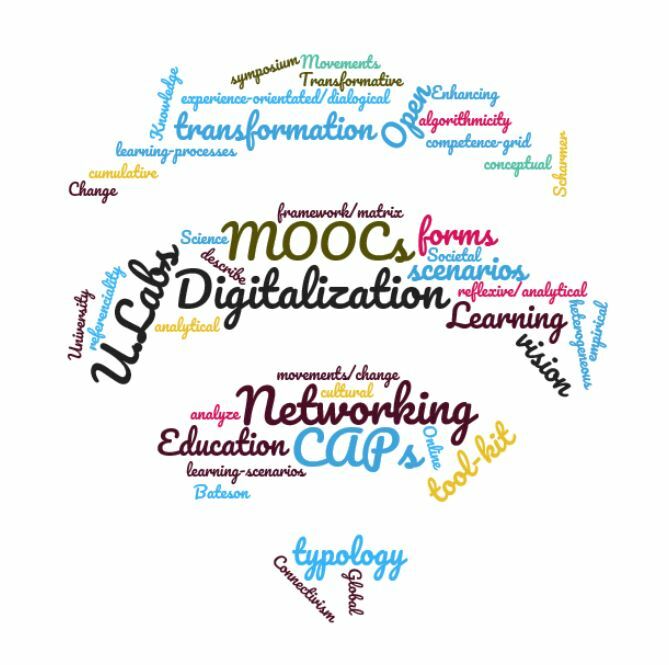 The thesis will be a predominately theoretical study, including empirical (cumulative) and conceptual work and aims to analyze processes of change in Higher Education in the context of Globalization and Digitalization. 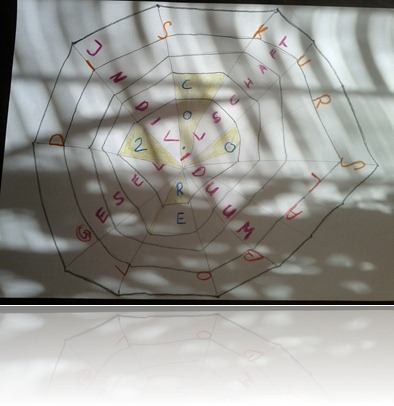 Recently ideas and plans for my PhD Project shape and become more concrete – I am really motivated and enjoy working on it, enhancing and enlarging frames and steps, including them into concrete project-planning-steps. To connect my project with networks and create connections and affiliations we think about a research-project and about submitting a symposium for a conference in 2018. 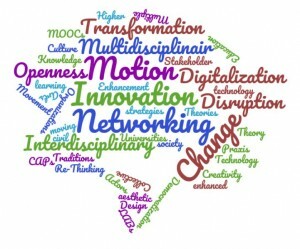 The latter is recently “work in progress” and from the angle of not only writing about, but actually doing research in the context of new learning (and research) cultures – which are open, creative, innovative, and interdisciplinary, and implement the potential of networking and digitalization – I would love to use this research-community to share the idea with my networks. As submissions for symposia will be reviewed anonymously, I will not share our detailed outline here, but post the links to the congress and the call. If some of you (they should be post-graduated or graduated) are interested to participate you could contact me via e-mail (s.siemsen at outlook.de), or Facebook , or Twitter (@CoRe2dot0 ), or LinkedIn, or Xing ) … whatever channel you prefer! I would be happy to send you detailed information and the outline of the intended international symposium. As I wrote in my post “PhD Projekt becoming concrete – Project Planning” I decided to write a cumulative Dissertation instead of a Monographie. Meanwhile my new exposé is almost ready and last week we had a doctoral-candidates-meeting in Marburg, where all of us can discuss the recent state of their projects, ask for (and get) feedback and argue on open questions – a really great offer and very efficient to have a group of other candidates around your research area and nevertheless with different topics and foci as “critical friends” and resource for the research process! While preparing my exposé I joined a Facebook Writing Challenge in a FB Writing Lab – I already did so two times before, once finishing my M.A., and to meet the deadline for a research-paper. And as it was really motivating, but always limited to some weeks, I now decided to open a new Facebook-Group for a permanent Challenge for long-term projects like dissertations. You can find and join the group here. In the context of this group and of my phd project I have another idea and would love, if some of you would “come along”. 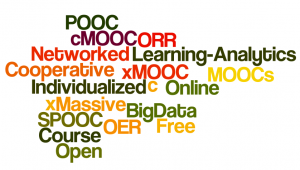 As an “open University”, a new culture of learning and research, and a new role of science are important aspects of my phd project, I would like to implement this weblog deeper into what I am doing – and vice-versa. It was always planned and conceptualized as a place of sharing and creating interdisciplinary knowledge, but up to know it is only me who is writing here, the posts are linked to Facebook and there most discussions take place. I love Facebook and my community there, but for longer texts and the discussion of them I think a weblog is a much better place (besides it is connected and all posts here are linked to FB). So I would like to invite all members of my Facebook-Group “Writing Challenge Dissertation” to be co-author and to introduce their projects and proposals here – to receive feedback and support from the community. Please just contact me in the FB-Group via PN and I can create writing-rights for you here. (audio and subtitles added afterwards) . another great input I got from the conference, for upcoming research, was the final keynote on network analysis including qualitative methods, respectively mixed-methods (which already had been my favorite) … and to hear about different views on its potential compared to field-analysis. Following up my last post on my PhD Project here the latest news and an outlook on next concrete steps: Since recently I got in closer contact with the working area Innovation, organization and networks at the institute of educational science of the Philipps University in Marburg, and by now we decided that my PhD Project will be supervised there. I have learned that it has really been a good decision to take time for search and reflection and to see the question of who will/can supervise such a complex and important project as highest priority. I look forward very much to the coming time-frame and all concrete steps connected with it. I feel encouraged and supported and I am about to enlarge my network and my personal reflection on my research with raising speed :-)! The project itself has also changed structure and form, without abandoning its core-content and focus. At the moment it is quite sure that it will be a cumulative dissertation, basing on my publications and reflecting, enhancing and enlarging those, by connecting the papers foci to work out interrelations, weakness and excellence (so a theorectical work ) and desiderata for post-doctoral work (empirical, mixed method – here a big part of my former proposals ideas on methodology and research will be conducted). 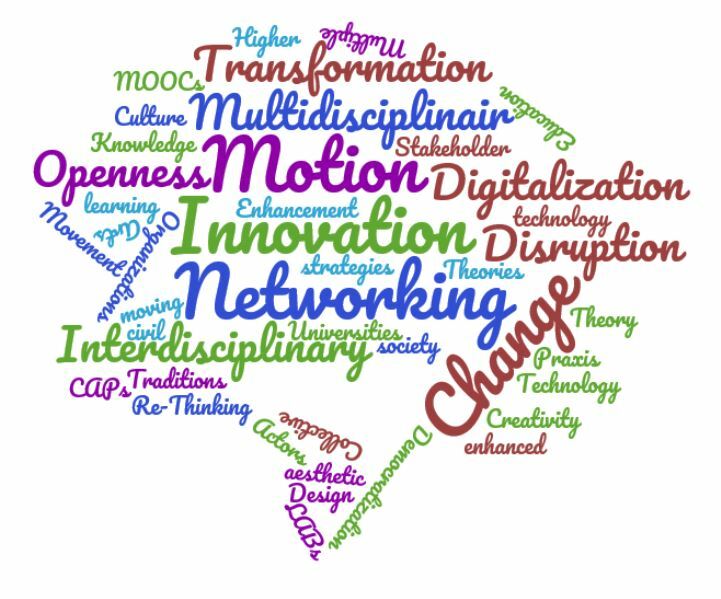 Since January I have finished a submission for an invitation to extend last years LTEC-Paper, I am about to finish a submission for the LTEC in 2017 and I am working on a presentation for a Symposium of the commission of organizational pedagogy at a DGfE conference end of February. It feels good “to be back” with concrete plans and structures and new enhanced ideas for my research. From now on I will also try to report on the progress, upcoming reflections and question, on a more regular basis here. May 2017 become the best year ever! Die aktuelle Titelstory der Internetseite des Deutschen Studentenwerks befasst sich mit der „Digitalen Hochschul-Revolution“. Ein spannender Artikel, der viele aktuelle Entwicklungen streift und aufführt, dessen Schlussfolgerungen aber meiner Ansicht nach doch eine sehr „deutsche Brille“ tragen und nicht immer vertieft hinter die Konzepte sieht, die angesprochen werden. Denn vor allem sind (können/sollten sein) digitale Studienprogramme eben nicht einfach „das Aufnehmen von Vorlesungen“, sondern, wie im Artikel auch angesprochen, „Erklärvideos“ – ein Medium das viel mehr ist (sein kann/sollte) als eine „Vorlesungs-Aufzeichnung“. Hinter dem ein völlig anderes didaktisches Konzept steckt (stecken kann/sollte). Das bedeutet aber eben auch, dass sich Hochschul-„Lehrende“ vom klassischen Rollenbild des „sage on the stage“ verabschieden müssen und sich für neue Rollen und Aufgaben öffnen – die sicherlich wesentlich spannender und herausfordernder sind. Die angesprochenen humanoiden Avatare, oder auch physisch „reale“ Roboter (wie in Marburgs neues Projekt „HEART“) nehmen dann keine Jobs weg, sondern machen frei von Routineaufgaben und schaffen Freiraum für das Generieren neuer Ansätze und das Konzentrieren auf Interaktionen und Begleitung statt Belehrung. Deshalb schafft sich Handke mit seinem Konzept eben auch nicht ab :-). Ja, im Gegensatz zu Neuerungen die das Traditionelle möglichst erhalten und nur ein bisschen „aufpeppen“ sollen (»sustaining«) sind diese innovativen Ansätze »disruptive«. Was impliziert, dass Bisheriges nicht erhalten bleibt, sondern etwas wirklich Neues entsteht. Was aber eben nicht bedeutet, dass Erfahrungen und Theorien nichts mehr wert sind. Sie werden eben neu gedacht, neu kombiniert, erweitert, korrigiert usw. – eben Emergenz. Vielleicht muss einfach auch „Präsenz“ neu gedacht werden, denn die vielfältigen synchronen Tools zum synchronen Kommunizieren unter Nutzung von Kamera und Mikrofon und gemeinsamem Bearbeiten von Inhalten fördern „Präsenz“ in Form von Aufmerksamkeit, Kollaboration, Kooperation und Vernetzung vielleicht mehr, als eine physische Präsenz im selben Hörsaal das jemals konnte? 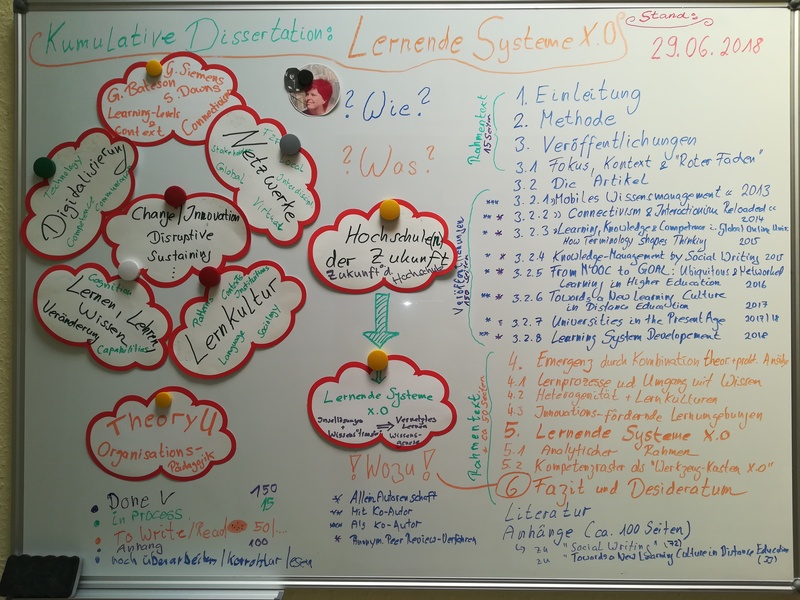 Blended Learning könnte dann statt »Präsenz + Online« eben »Synchron Online + Asynchron« (online und offline selbstorganisiert lernen) bedeuten. 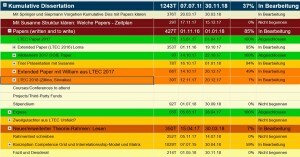 Und zur Frage „Wie muss kann man sich eine Universität 2.0 eigentlich vorstellen“: Abgesehen davon, dass „2.0“ längst überholt ist (ich überlege auch ob und wie ich das im Titel meines Weblogs ändern oder wenigstens klarmachen kann …) geht der Antwortversuch „Ohne Vorlesung, Bibliothek, Mensa und Campus? Ohne Prof, HiWis und notorisch abschreibende Kommiliton/innen?“ meines Erachtens an der Realität vorbei. Ohne Vorlesung? Vorlesungen gehen auch digital, wenn sie in der traditionellen Form eben auch längst überflüssig sind. Statt dessen gibt es ja längst gute didaktische neue Konzepte. Ohne Bibliothek? Wann gab es denn jemals eine größere und flexibler und freier zugängige „Bibliothek“ als heute? Und Medienkompetenz brauchte man auch in den klassischen Bibliotheken schon. Heute eben anders. Ohne Mensa und Campus? Gut, gemeinsam mit den Kommilitonen eine Mahlzeit einnehmen geht dann eher nicht J – aber für den Campus gibt es dagegen schon wieder Möglichkeiten, die über Kontakte und Kontexte die ein Präsenzcampus ermöglicht, weit hinausgehen. Professoren und wissenschaftliche Mitarbeiter werden andere Aufgaben und Rollen haben und Abschreiben … dazu möchte ich mich hier jetzt mal nicht äußern J.
Ob die Universität der Zukunft eher eine Volkshochschule ist, ist sicherlich wieder eine Frage der Definition. Wenn es heißt, dass jeder die Chance hat, sie besuchen zu können, warum nicht? Wenn es aber heißt, dass das Niveau der freien Universitätsbildung Kursen heutiger VHS entspricht und „die besten Köpfe“ viel Geld haben müssten um Bildung auf Universitätsniveau zu erwerben, dann bitte nicht! Hier noch zwei andere Artikel, die sich mit ähnlichen Fragen anders befassen. Today I had a Twitter conversation with a colleague and somehow the discussion turned from dealing with a book respectively its content toward a discussion on theories or terminology transporting an ideology or enabling enhancement. It made me think about my own project, as a new/altered terminology (like my definition of GOAL as Global Online Academic Learning, of a new learning level as reaching “enhancement-competence” and of “Metacommunication as tool”) plays an important rule for enabling learners in global online learning to create new knowledge. 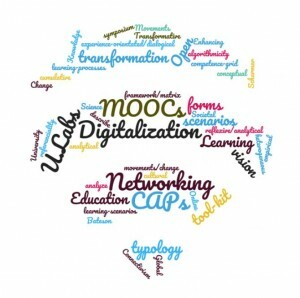 Global networked learning-processes cannot be described, defined or enabled if we comfortably rest in traditional methods, theories, definitions. Research on something new needs the courage to leave comfortable pathways of re-assuring traditions. And maybe this may look like “ideology” at the first glance. But one of my favourite quotations is from Nora Bateson when she defines learning as the moment we realize that something we used to define and see in a specific way may be totally different. An at which place, if not in research and in science, could be the right place to start re-thinking, re-defining and re-creating definitions and theories? 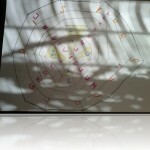 Or – in Gregory Batesons words – to reframe situations and to commonly set new context markers. Defining a definition as ideology is a context marker. Others could mark the same context as “disruptive innovation” (of a terminology, a theory, whatsoever). And talking about these individual punctuations makes those conscious … this is Metacommunication on Learning. This is what enables enhancement. Finally, research and science is a learning process on this level, isn’t it? I remember a moment of my own studies when I talked to my professor about a thesis or a homework and he told me that my work shows a clear understanding of the theories but remains explaining and describing and he would miss my critic on them. I was astonished as I would not have dared at this moment to criticise a scientific “proven” theory as a “little student”, even so I had a lot of ideas and critics which I never would have dared to “officially” write down. He said: As a student doing research you are already a scientist and not only allowed to but obliged to think critically and to give arguments using your own thoughts. This was one of (maybe the) most important moments of my studies and the most beautiful thing a teacher or professor ever said to me! And it started a process of learning that was different from all the others before. And a process of research on what exactly is so different and how we can foster and enable others to those kind of learning processes.